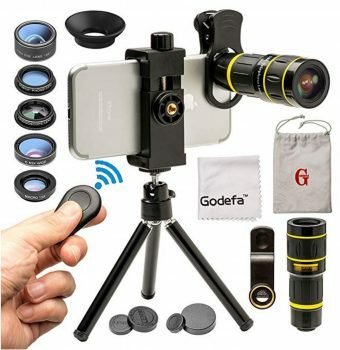 On this website we will focus (pun intended) on these items: smartphone monocular lenses, telephoto lens for smartphone, cell phone telephoto lens, cell phone telescope, mobile phone telescope, cell phone zoom lens or even a mobile camera lens. Let me tell you that I have been a photographer for more than 20 years and have used many brands of cameras from an old Kodak Brownie Box (as a kid) and an equally old Kodak Retina and a Pentax to many Nikon models and Hasselblads, but then the iPhone arrived. At first I could not believe the quality of pictures from such a small device and such a small lens. I have seen reports that the Hasselblad lens designers were employed to create the built in lenses for many of the cell phones in use today, brilliant! There are two drawbacks though that I have found, and there could be more, close-ups are a problem and telephoto shots. Clip-on lenses are now available that range from a microscope and close-up lenses and fish-eye to medium telephoto and long lens telephoto as well as zoom lenses. Here is my first kit given to me by my daughter for my birthday. 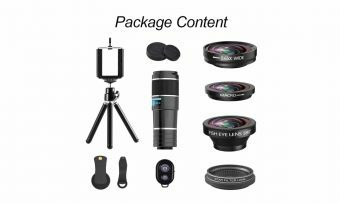 This is a set of two, a Fish-eye and a macro close-up lens with a mounting clip and also comes with a handy carry pouch. Getting close to subjects that are far away has not been possible - until now. I know that on a smartphone screen you can “blow-up” the image to get a “closer-up” shot but this is at the cost of grain and sharpness of your picture and is not that great. With the correct “clip-on” telephoto or zoom lens you can get close-up and personal with your subject without compromising your picture or image quality. 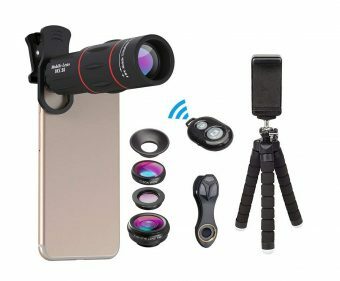 These lenses should be standard kit with anyone with a half decent cell phone. Please have a browse around our website and find what you want. I know that we state on the site intro that we focus on zoom, telephoto phone lenses but the Moment lenses are so good that we just have to give them a mention here. Using the Moment Lenses with an iPhone as it is a sure-fire way to getting really great pictures. 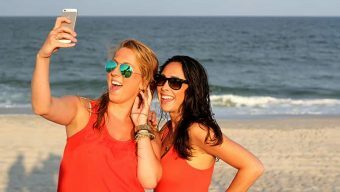 The Moment lens and iPhone 7 are a perfect match but does not exclude the Moment lens on a iPhone 8. I have been using professional cameras, lenses, lights, and accessories for many years as part of my job. The learning curve when using these high end cameras is quite steep. Now things have changed a lot, using an iPhone is simple. 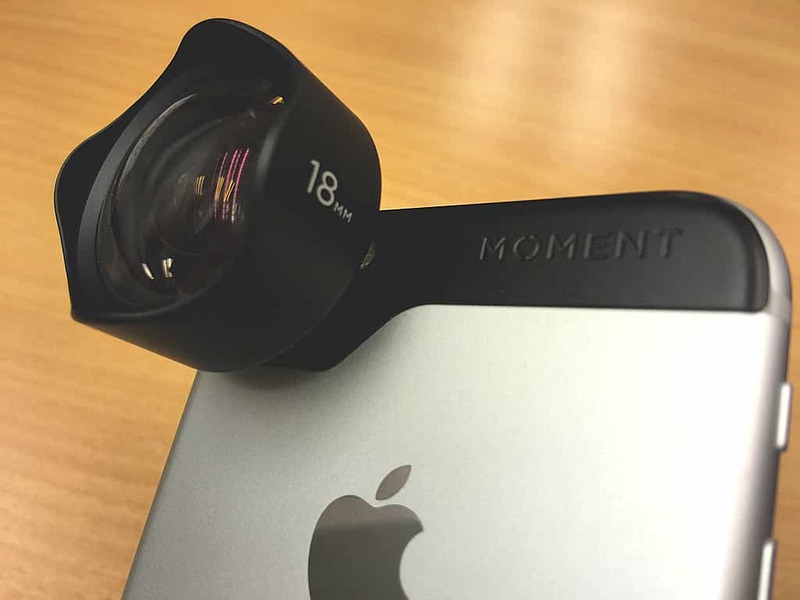 And attaching a Moment lens to your phone is even simpler and is the best option for attaching a lens to your phone. 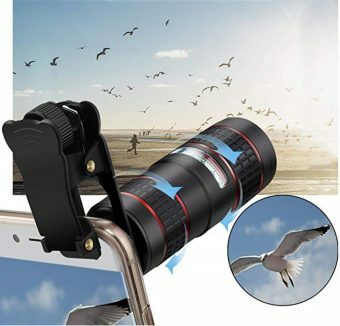 Even though the Moment lenses are attached with a stainless steel mounting plate that is glued - not permanent - to the back of your iPhone with a strong 3M adhesive. The plate can easily be removed by applying a bit of heat from say a hair blow dryer as this will loosen up the bond without any damage to your phone. The mounting plate is quite thin and moulds into the phone's body shape very well. 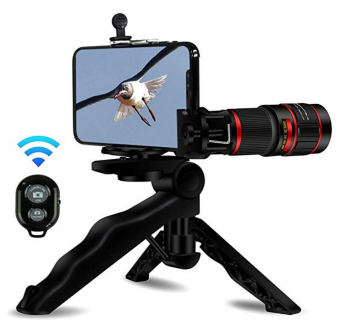 It also has a bayonet mounting system, similar to most DSLR cameras, that lets you easily and quickly put the lens on and take off as you might do with any DSLR camera. 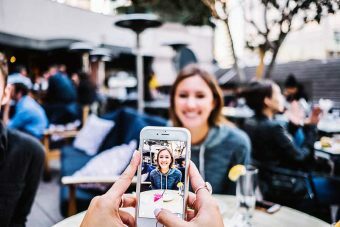 The Moment Camera App is available and recommended to be used when you have your lens up and running and will help you get the best out of your Moment lenses. Any photographer looking for high-quality, print-ready results, Moment lenses are really worth the investment. 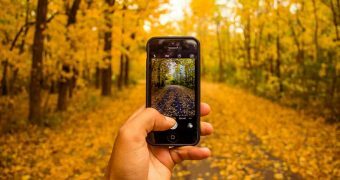 Moment's lenses may cost more than most, but you can be sure you will get some of the best photos we've seen from any add-on smartphone lens. The build quality of the Moment lenses is excellent and stands out from the other clip on lenses around. The 18mm wide angle lens will have pro photographers wondering what kind of DSLR the image was shot on. Those in the know might guess that the image was actually shot on an iPhone with the use of the Moment Lens. Whereas the longer lens (2x telephoto), that does not really fit our focus (pun) on zoom lenses on this site, is one of the best quality lenses that we have seen and will satisfy most pro and casual photographers. Moment also have a "Superfish" lens. How Many Mega-Pixels Does My Mobile Phone Need?